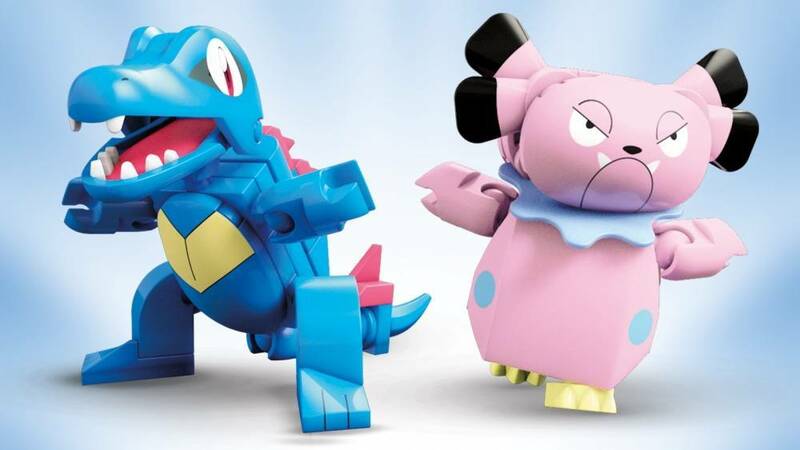 Bring twice the bite to the battle with Totodile versus Snubbull! 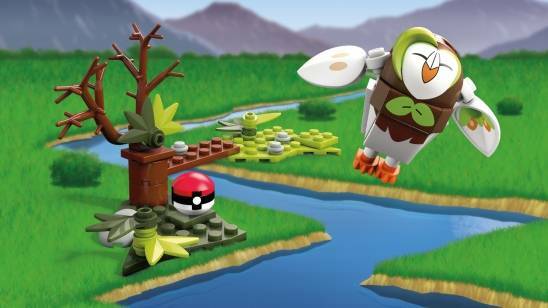 Choose your Pokémon and battle to become the greates! 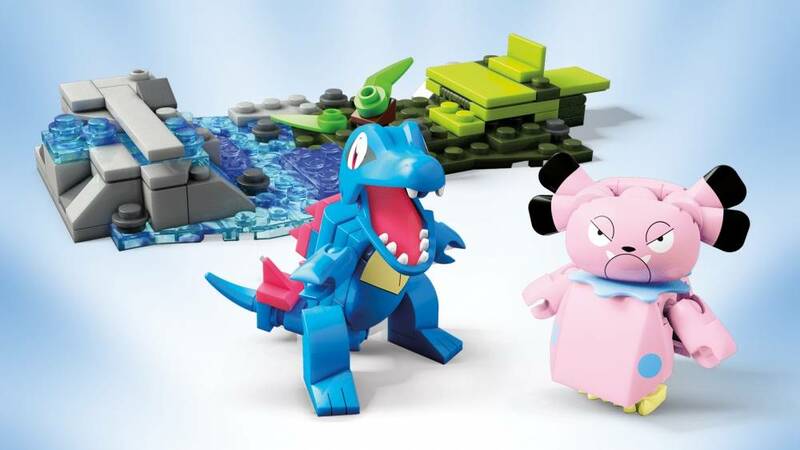 It’s Totodile against Snubbull when you create your own action-packed showdowns between these Pokémon! 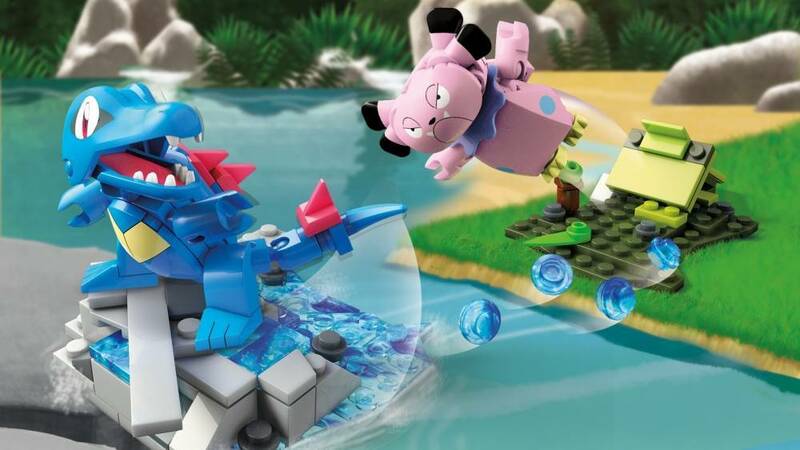 Build your Pokémon, set the scene for a battle, and prepare to unleash opposing Water-type and Fairy-type attacks. 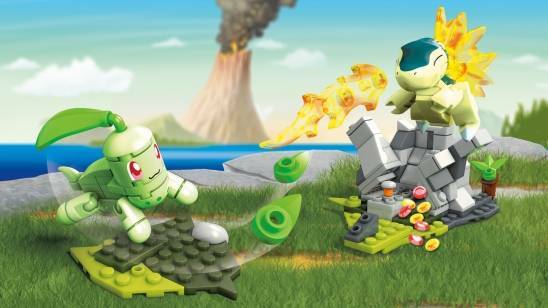 Then bring extra bite to the fight when you press to activate the action pieces to create exciting battle effects!